Music affects us all in different ways. Beethoven’s symphonies, Modern Jazz, Motown, heavy metal or trance music; they all impact us in different ways. Our mood, energy levels, mindset; even our emotions are all affected by the music we listen to. 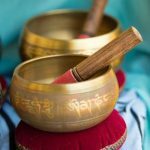 As a trained sound therapist and energy healer, I believe that the sound frequencies created by different instruments (including the voice) are not only heard, but also felt throughout the body’s tissues and cells. 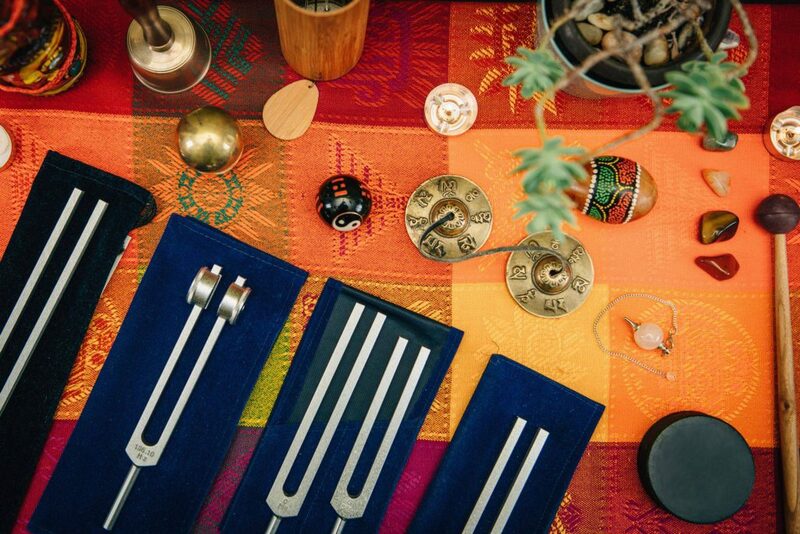 The vibrations created by these instruments release energetic blockages and re-balance the body’s energy system. Our body is effectively a finely tuned orchestra which absorbs and reacts internally to the vibrational frequencies of external sounds. This delicate vibrational balance can easily go ‘off key’ in response to everyday challenges such as stress or illness. Sound therapy effectively modifies the body’s imbalanced frequencies; re-tuning it from vibrational discord back to a deeply relaxing, harmonic symphony. This is how one client described her experience with the sounds of the OM; other accounts can be found on my testimonial page. 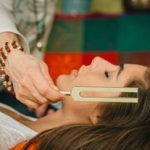 Initially I will use the tuning forks, to calm your mind and autonomic nervous system, relax your body, and identify any areas where your energy may be blocked. I have a large selection of forks tuned to different frequencies, all denoted to working with a variety of issues. During our sessions, I may also use relaxing music, chimes, singing bowls, tingshas, native American flutes, drums, rattles or even my voice, if I am intuitively drawn to do so. How can Sound Therapy support you? Sound therapy is said to help not only physical illness, but also help balance the emotions and quieten a busy mind. Most people feel calm and deeply relaxed following a treatment; often these calming effects can last for several days. Stress-related illnesses such as ME, Chronic Fatigue Syndrome or IBS. I have also worked with cancer patients (at various stages of the disease) and found that the sound therapy has helped them relax and sleep more easily. It has also eased some of their stress-related symptoms and, in many cases, relieved some of the physical pain symptoms. I have worked with kidney failure patients who have noticed an improvement in the skin conditions (ulcers) which are common in the advanced stages of the disease. It is important to remember, however, that Sound therapy is a complementary therapy designed to work alongside, not to replace, allopathic medicine. What evidence is there that Sound Therapy works? Renowned sound therapy teacher Debbi Walker (with whom I trained), has a medical nursing background. 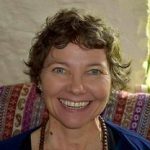 Over the last few years Debbi has conducted a number of trials to evaluate the effectiveness of sound therapy, and has documented the findings on her website www.suarasoundhealing.com. The British Academy of Sound Therapy (BAST) www.healthysound.com also conducts research. In a recent study it was found that 95% of clients suffering from stress-related disorders felt an increased state of calm following treatment. (This was not a clinically-based trial however, so the findings can only be considered subjectively). A preliminary study conducted by BAST measured the effects of sound therapy on the autonomous nervous system (ANS). Clients were connected to a machine that monitored their stress responses (similar to a lie detector). Each sound therapy client demonstrated an overall decrease in the arousal of the ANS compared to the control group, who were simply lying down and relaxing. This study suggests that sound therapy has a deeply calming effect on the autonomic system and may therefore benefit clients with stress-related conditions.